Students representing Cockburn John Charles Academy participated in the launch of the final leg of this year’s Yorkshire Schools Bike Tour on Monday 2nd July. 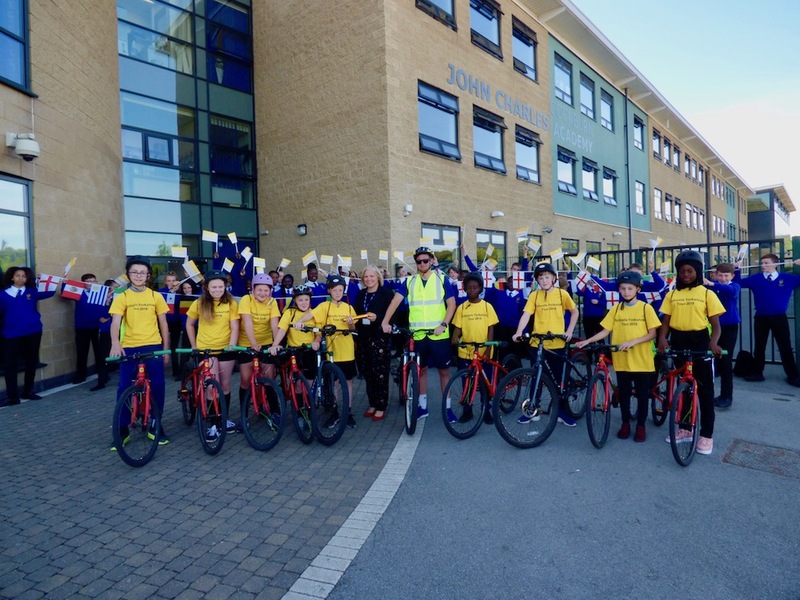 The tour has involved carrying a baton between schools and other educational establishments around North, South and West Yorkshire and culminated on Tuesday 3rd July with a presentation at the county hall in Leeds city centre. Head of School Mrs Roberts handed the baton over to year 7 student Jay Jay Brook as the group embarked on their leg of the journey waved off by students from year 8.